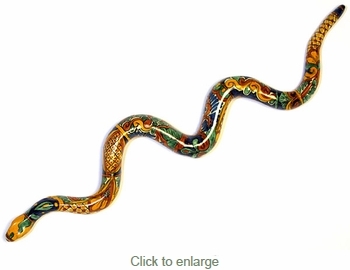 This colorful Talavera snake will add an authentic southwest flair anywhere in your home. All of our Talavera ceramic pieces, also called Majolica pottery, were handmade and individually painted in Mexico. Direct from Mexico will carefully pack your order to ensure its safe arrival to you. 33" x 7" x 2"